Top 5 Weight Loss Mistakes – Are You Making Any Of Them? I’m a huge advocate of finding a diet that works for you and sticking with. That often takes time and a wee bit trial and error. 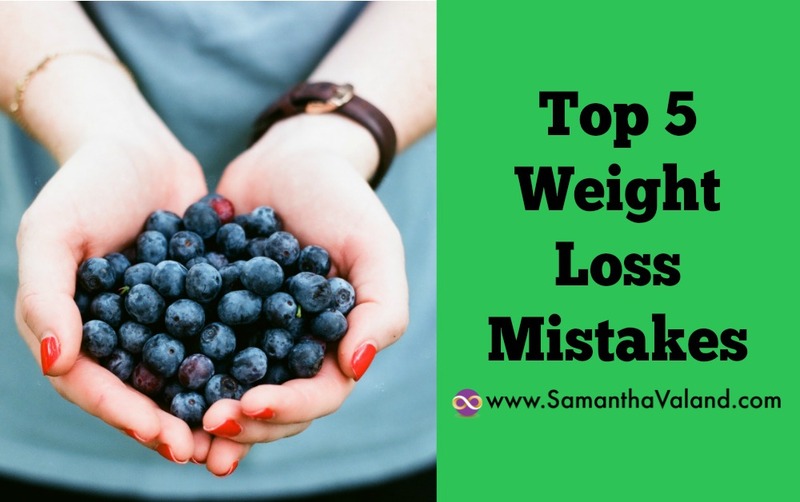 Below are my top 5 weight loss mistakes that most women do at some point, myself included! Starting the latest diet or fad because your girlfriend did it and she lost a lot of weight really easily on it. We are as different on the inside as we are on outside. You’ll probably find out it won’t automatically work for you!The Fast Diet 5:2 is the latest fad to hit the UK where you spend 2 days a week eating very little then eating normally for the other 5 days. Generally it works well with men and also with women where it fits into their lifestyle – so if they travel a lot with work. It definitely doesn’t work with someone who struggles with their blood sugar levels or feels like they are missing out when others are eating lovely food in front of them! How can you flip this? You obviously need a caloric deficit to lose weight. However, having a salad for lunch may not be enough to keep you going all afternoon and you end up having a quick fix in the afternoon, which can cause a see-saw effect on your blood sugars levels for the rest of the day. Veggies have a lot of fibre and will keep you fuller for longer compared to fruits which tend to be higher in sugars. A wee bit of fat, avocado is one of my favourites and seems to go well with everything! Carbs have different faces, but we definitely need them for energy. Choose complex carbs quinoa and sweet potatoes over simple ones such as white, processed pasta or breads. Eating less and exercising more in your 40s isn’t always the simple solution that it sounds. Exercise can cause the body to need more energy, which equals eating more, particularly if your dieting focus is less carbs. Long slow cardio such as marathon training is quite renowned for this. Post exercise is the best time to have simple carbs as they refuel you quicker so a banana is a perfect post workout snack. If your energy levels fluctuate over the course of the month it may be had to get into a routine and stick to it. Cue Superman music. We are all time poor, making different food choices and increasing exercise levels all take time. Most women forget about the preparation time both of these new hobbies take! I’m a big fan of snowball goals. That is taking something small and once you have successfully mastered it or it is habitual then adding in something else. Tip: It has to be easy so instead of picking the hardest thing you can do what’s the easiest that you can do regardless of how much money, time or energy you have. By that I mean it dominates your life, you deprive yourself or ‘normal’ life and you stop as soon as you have ‘passed’, you go back to eating ‘normally’ which means you will start putting on weight. The average age of the menopause is 51. If your hormones are a bit funky in your mid forties and you are starting to struggle to lose weight, that’s a lot of years to be on/off diets. Finding a way of living that doesn’t feel like you are on a diet? So that you can still socialise and have a few treats. Basically find a way of eating that fits in with your lifestyle and keeps you at a healthy weight.